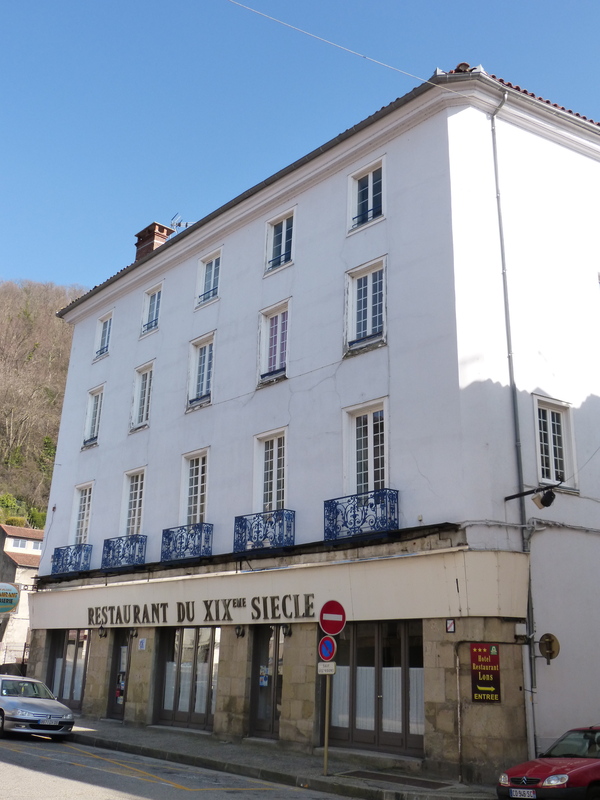 I played a rugby match at Foix about 40 years ago. 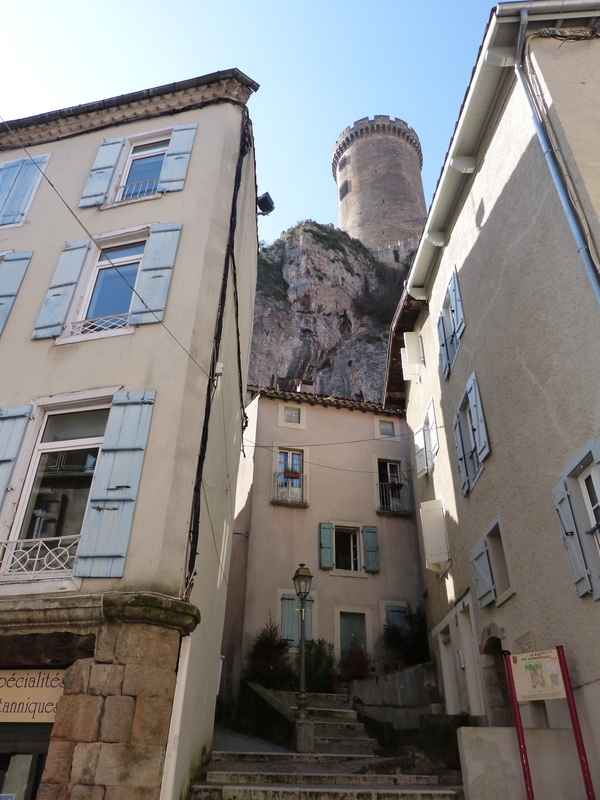 As we went to and from the ground I could see the old part of town and the castle from the main road (which bypasses the old part of town). I thought it would be worth coming back to take a look around. 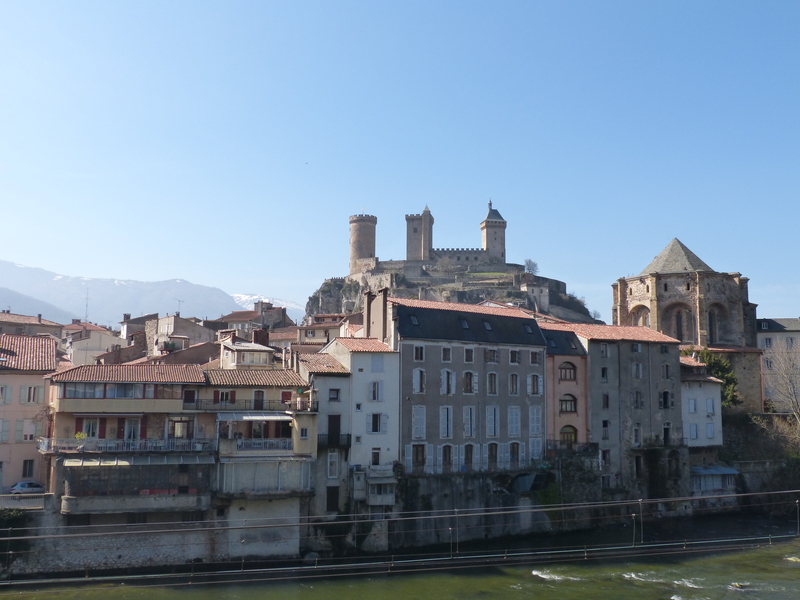 It was an easy 75 minute train journey from Toulouse (where I’m staying). €23 return. It turned out to be a wonderful excursion. I had a 3 course lunch in a friendly (but quirky) local restaurant for €13.80. That included a coffee at the end (€0.40 extra on top of the fixed price menu). No Michelin stars involved at that price obviously, but good, basic, local food. The place was full up and the staff running round demented. Service was excellent – no more than an hour for 3 courses. Even the patron joined in, but in his 80s his contribution was just to produce a few leisurely coffees. I headed uphill to the castle after that. A school group was going in at the same time as me – the teenagers chirping away to each other in Catalan while the teacher spoke to them in French. 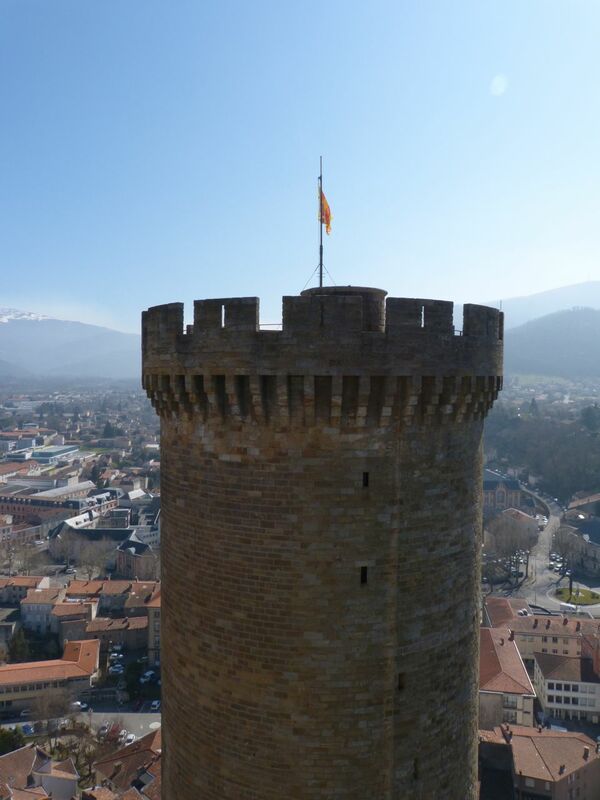 Foix is in the Ariège département and not really part of the Catalan speaking world, but it borders on Andorra (where Catalan is the official language), Spain (or Catalunya if you prefer) and the Catalan speaking region in France (Roussillon). The castle was well worth the effort, with the bonus of some wonderful views. 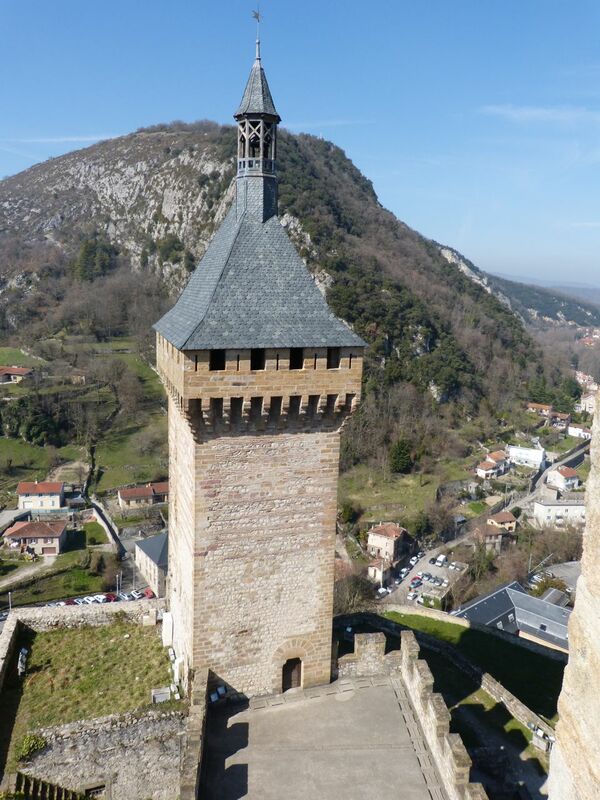 It has a rich history going back to the 11th century – check it out on Wikipedia if you want to know more. 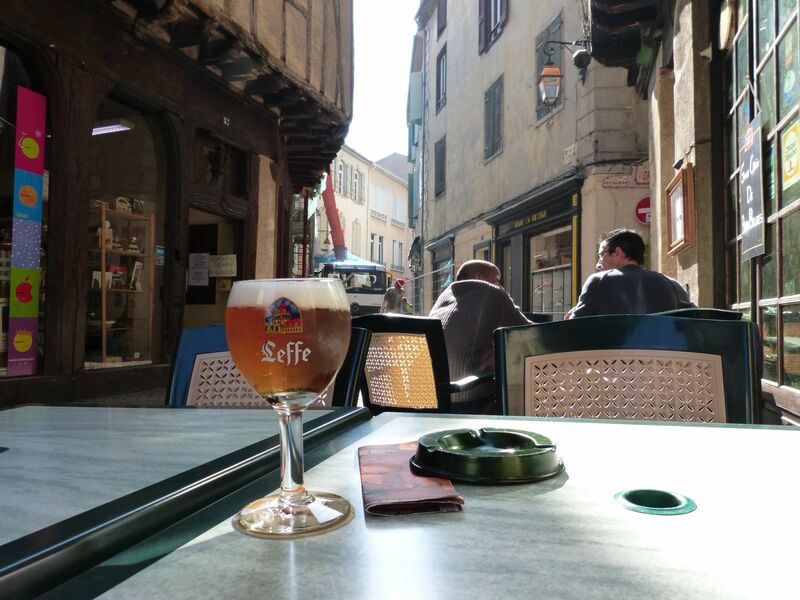 The old town is delightful too, and a good place to have a beer on my way back to the station. A final word for the station – immaculately maintained and preserved. 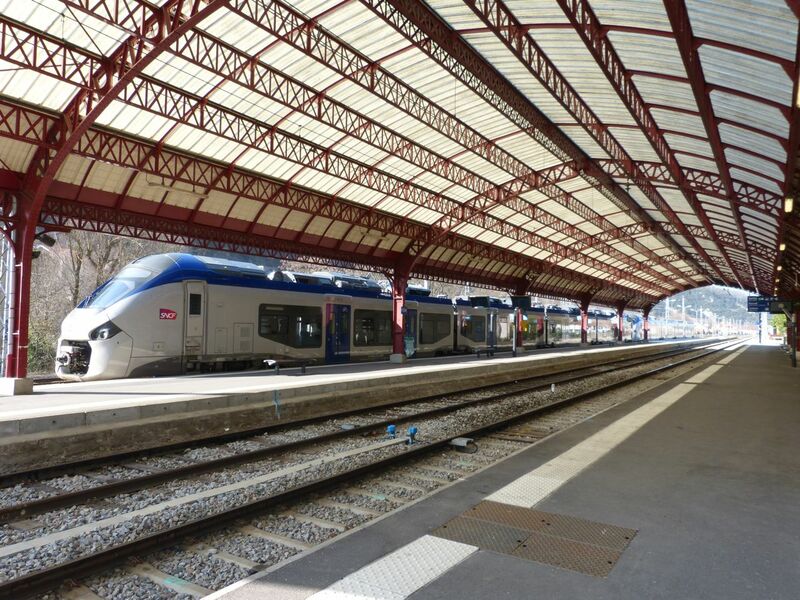 This entry was posted in sports, Toulouse and tagged Foix, rugby, Toulouse, trains. Bookmark the permalink.